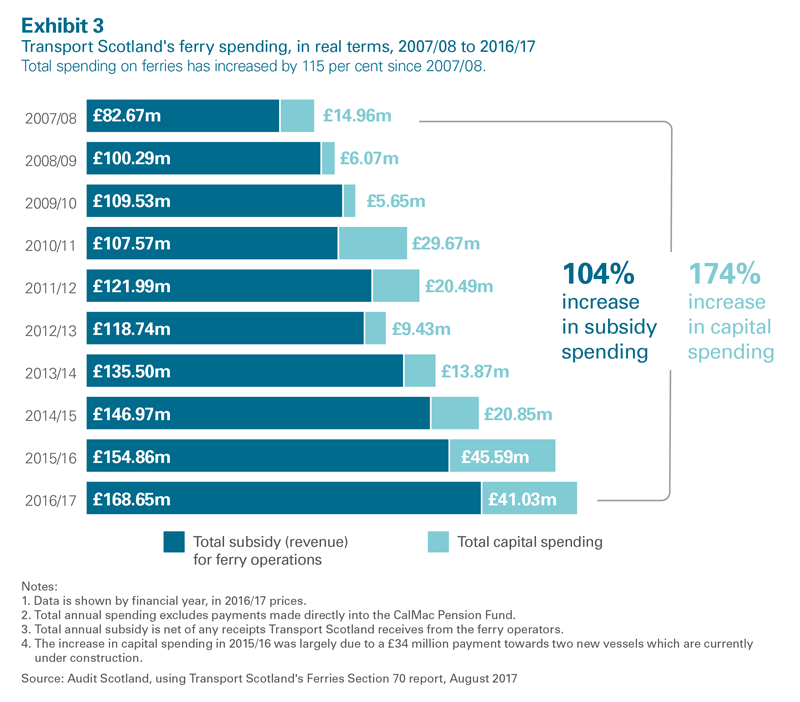 Spending on Scotland's ferry services has more than doubled since 2007/08, increasing vital links to the islands. 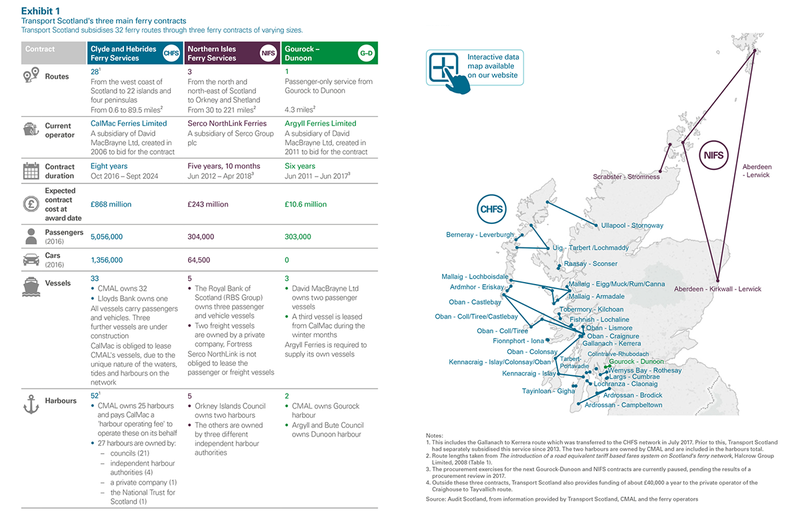 But the full extent of future spending requirements is not known and could be substantial. 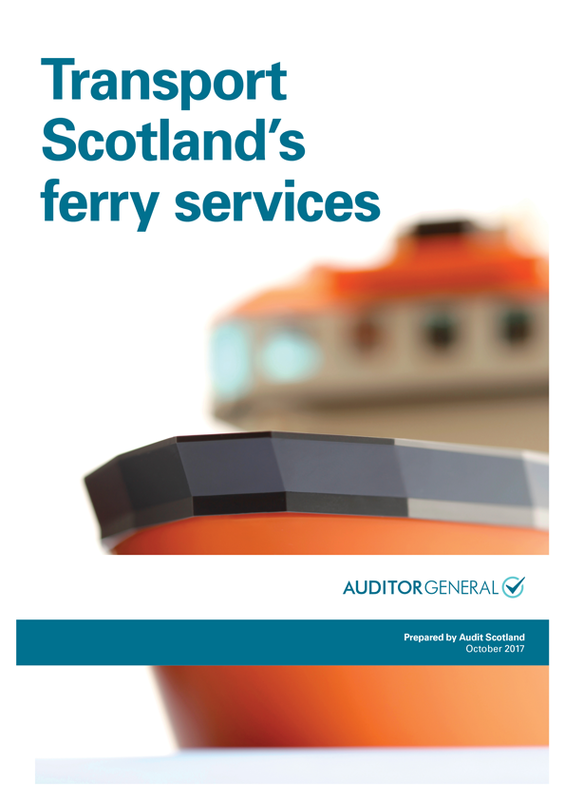 Supplement on users' views - Audit Scotland spoke to a small sample of ferry users across ten communities which rely on ferry services. This was not a representative sample but was used to understand the range of users' experiences and views. 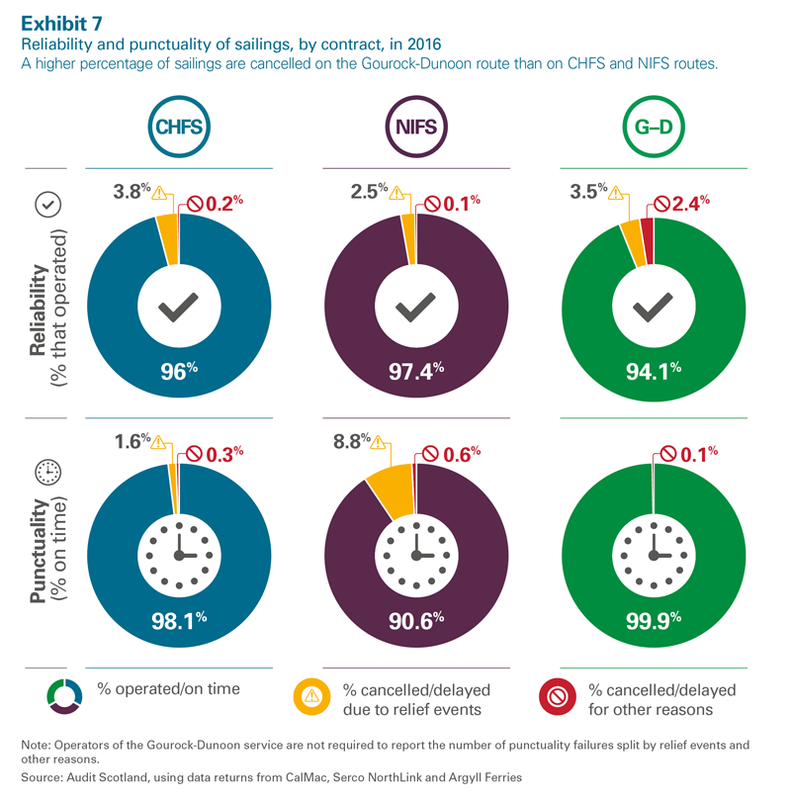 We used these discussions, alongside other evidence gathered during the audit, to help inform judgements in the report. 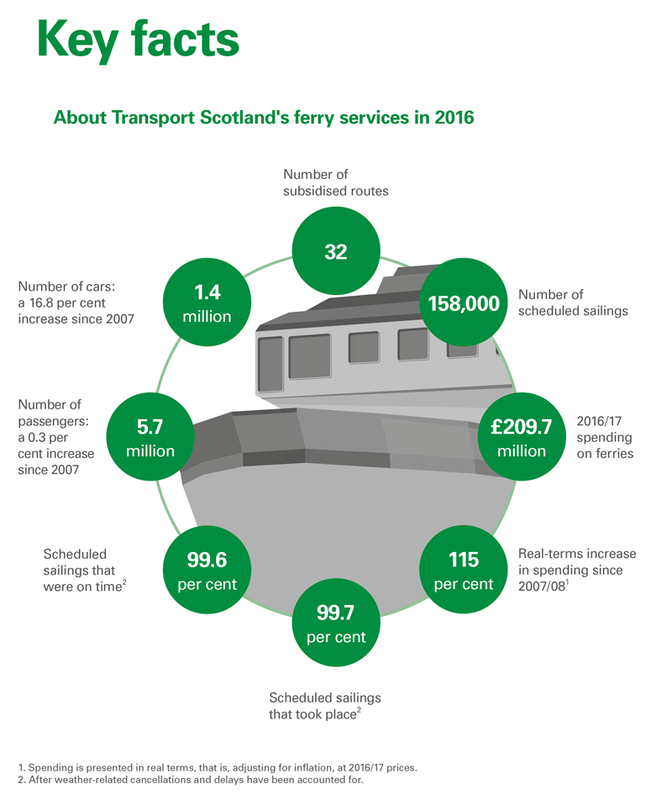 Our interactive Tableau visualisation illustrates passenger and vehicle numbers for individual ferry routes in Scotland, and punctuality and reliability rates.